Brock Lesnar versus Goldberg was supposed to be a slam dunk for WWE. Lesnar’s only blemish in his entire WWE career is the loss to Goldberg at WrestleMania 20, so his urge to erase that blemish with a win is logical. He’s annihilated everyone else he’s ever worked, but his pro wrestling immortality now hinges on this match. Goldberg had nothing to prove to Lesnar but was called out in front of the world. Despite common sense telling him to stay on the sidelines, he decided to answer the challenge like a man. This time, however, he’s not stepping into the ring to win a championship or to lead a company. He’s doing this for his 10-year old son and his wife, who have never seen him wrestle. The history was there, the circumstances were right, and everything looked perfect. But thanks to an ill-advised promo on Monday Night Raw, the entire storyline has been thrown into a tailspin. The bad part about this is the fact that once again, Vince McMahon’s company is to blame for the drama. Lesnar’s appearance in front of his hometown of Minneapolis should have never happened. Of course, he was going to be cheered. Of course, Goldberg was going to be booed. 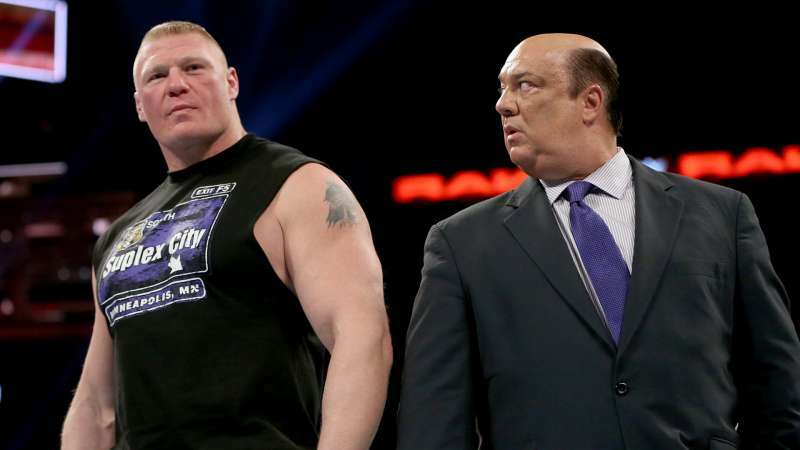 Paul Heyman did everything in his power to turn the crowd, but it did not work. The Beast Incarnate looked lost, Heyman looked angry, and the entire promo fell flat. This is where the rubber meets the road for WWE. Someone in the company, whether it was Vince or Triple H or WWE Creative itself, believed this was going to work. Lesnar was supposed to have been hated by the fans in Minnesota, while Goldberg, who hasn’t been around for 12 years, would automatically be loved as the conquering hero. This was treated as basic paint-by-numbers professional wrestling, and there was absolutely no chance it was ever going to work. Lesnar is a heel, and he’s an excellent heel at that. He’s brutal, he’s punishing, and he’s heartless. He’s everything a villain should be and more. When he’s on his game, no one is better at delivering remorseless destruction, and he’s always on his game. In the pantheon of indestructible pro-wrestling monsters, no one is more impressive, or more dominant. But Brock is over. He’s so over that no one can touch him. This is what happens when a pro wrestling promotion books a guy to the moon. No one is perceived as being on Brock’s level because no one else has been booked that strong. With the exception of The Rock, Triple H, and The Undertaker, no other active superstar really has a chance against him. But Lesnar has beaten all of them, and in the process, he’s become untouchable. He has no Kryptonite; he has no weakness that can be exploited. He doesn’t get tired; he doesn’t get hurt, and he always leaves the match on his feet. Brock Lesnar could work a 10-on-1 handicap match, and fans would expect him to win without breaking a sweat. He’s Superman and The Hulk rolled into one, and instead of slowing down, he grows more devastating the older he gets. Lesnar is a machine that cannot be stopped. But fans are into him. No matter how much WWE has tried to portray him in a negative light, Lesnar usually gets a great pop. Fans love the destruction. They love the carnage. When Brock gets going, they go along for the ride, and they expect him to win every time he works a match. Fans don’t respond the way they used to when it comes to heels versus faces; they know who they like and who they don’t. Brock is over because of WWE’s booking, and because fans have bought in. This is the man, that WWE truly believes will be hated, next to a man that barely had the crowd’s support the last time he was there? 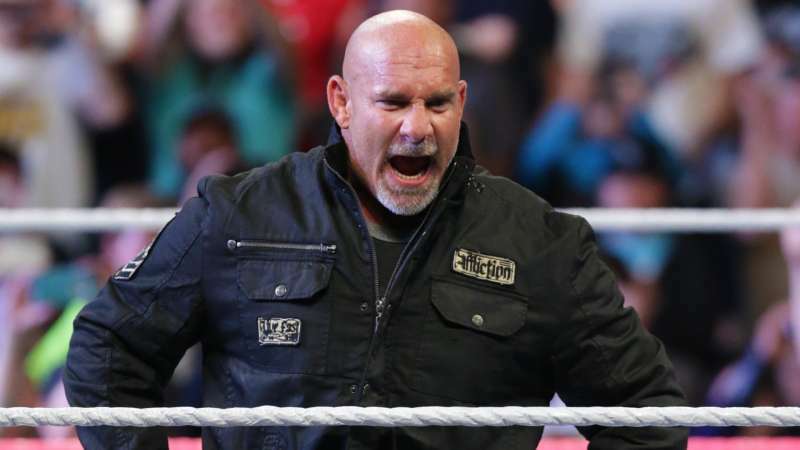 Goldberg’s return was epic, it was intense, and it was very moving. He was overwhelmed with the emotion of the moment, and he cut the promo of his life in front of the fans in Denver, Colorado. But he cannot get over on Brock when The Beast is in front of his hometown crowd. Does Goldberg vs. Lesnar still have a chance to work? Heyman could have come out alone, insisting that his client refused to stand in the same ring that Goldberg had stood, one week earlier. He could have insulted the Minneapolis crowd, and drawn more heat that anyone could have imagined. He would have sold the match and gotten it over even more than it already was, and he would have set the table for the response promo Goldberg would deliver one week later. Heyman could have made it work. Instead, fans are now left with a babyface that was booed, and a heel that was cheered. Vince was apparently unhappy, and he should have been. The fact that, evidently, no one in power seemed to understand how the crowd would react is surprising, to say the least. However, the fun doesn’t stop here; the impending showdown between Lesnar and Goldberg is taking place in Canada, the same country Brock now calls home. Undoubtedly, WWE believes he will be the hated antagonist as Goldberg comes in and gets the protagonist pop of a lifetime. The unfortunate part of this is that the match had every chance to work. It still may of course, as anything is possible. Goldberg looks great, he’s training hard, and he may very well show something new, for his match with Lesnar. He’s got the right attitude, he’s saying all the right things, and he’s back for all the right reasons. He is worth the respect and admiration the fans in Denver gave him. But Brock is on another planet. He’s unbeatable. He should lose at Survivor Series, but the deck is stacked in his favour. WWE wants to create drama by recreating this rivalry, but it looks like just another win for his inevitable Hall of Fame legacy. This match will indeed be epic in scale and hyped like no other before it, but it looks like just another day at the office for Brock Lesnar. This is what WWE booked, it’s what happened, and fans should not be surprised. Perhaps this is just another day at the office for WWE as well. For latest WWE News, live coverage and rumours visit our Sportskeeda WWE section. Also if you are attending a WWE Live event or have a news tip for us drop us an email at fightclub (at) sportskeeda (dot) com.